Elsys is a young Swiss company that produce High Precision, Multi Channel, Long Acquisition Memory, Data Acquisition offering stand alone autonomous systems in a robust enclosure or PCIe card that can be easily integrated in many high performance applications. 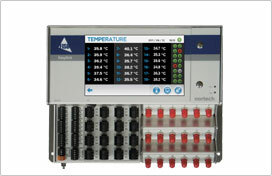 The TransAS Application Software completes the system with easy GUI to configure, control and analyze. 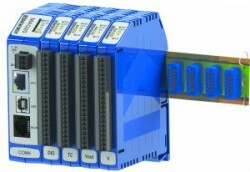 Gb Ethernet interface allows fast transmission of data and control and acquisition via the internet. Systems offer 240 MS/s Sample Rate, 16-bit Resolution, 128MS Acquisition Memory per channel with incredibly High-Precision of 0.03% of FSR. FISO Technologies Inc. is a leading developer and manufacturer of Fibre Optic Sensors and Signal Conditioners. Committed to providing customers with innovative and reliable solutions for measuring parameters such as temperature, pressure, displacement and position, strain and load as well as refractive index in harsh environments and challenging applications, FISO's targeted markets are medical, process control, energy and research laboratories.